Wonderfully done - fantastic environmental shot! This is such a lovely shot. very colorful and nice composition. The veggies have such striking color compared with everything else. Very cool. Very nice shot..those veggies look good! Love this street shot, Harsh. You really nailed this shot! 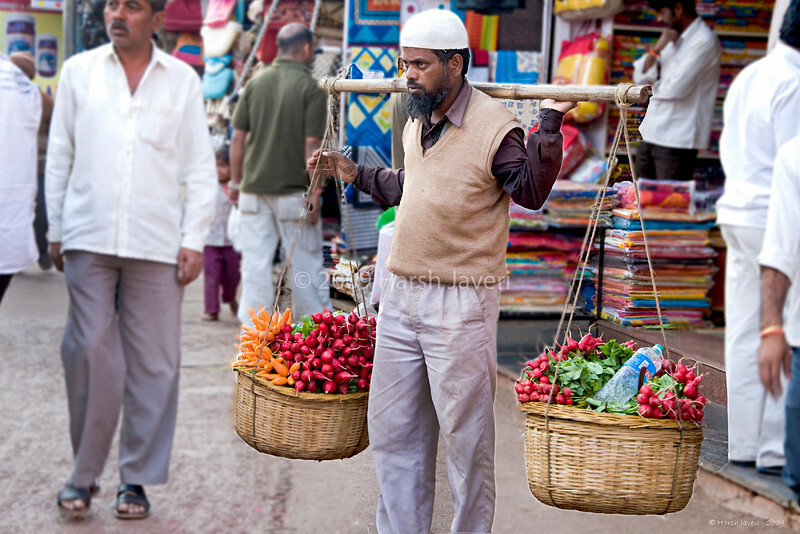 Wonderful image...love those baskets of vegetables!